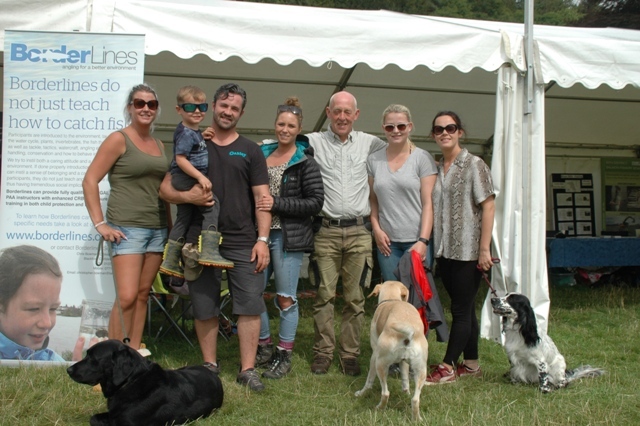 Despite the weather forecast changing it’s prediction for foul conditions over the weekend, the weather held just perfect for the well organised Lowther Show in beautiful surroundings last Saturday. Lowther is my favourite show of the year, it just has that convivial, friendly atmosphere about it and you meet up with many friends there. Rain then arrived on the evening and had passed through by late morning leaving it fair. This did not deter the many budding young, present and future anglers to visit the Fishing Island and have a go at fly fishing, some for the very first time. Everyone working on the Fishing Island are volunteers giving up their precious time for others benefit, thank you all! 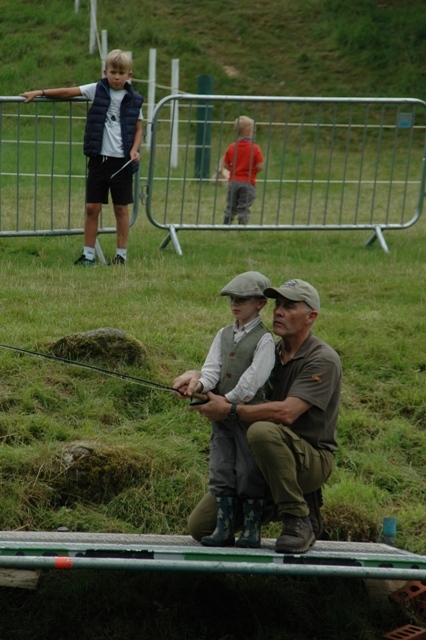 t has always been the theme at Lowther through Borderlines to encourage new people into fly fishing, especially the young. A place where you can pop in for a cup of tea on the Island have a sit down and a craic, maybe watch a demonstration, have a go at fly casting or enter a competition. 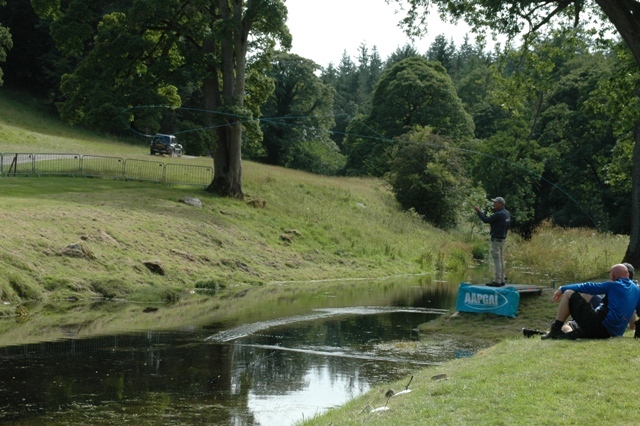 On the Fishing Island there were demonstrations by the Association of Advanced Professional Game Angling Instructors Derek Kelly, Clive Mitchelhill, John Pape, Brian Towers, and guides Karl Humphries, John Walker, Roger Smith and Alan Roe from all over the U.K, also Bert Schaaf from Germany. 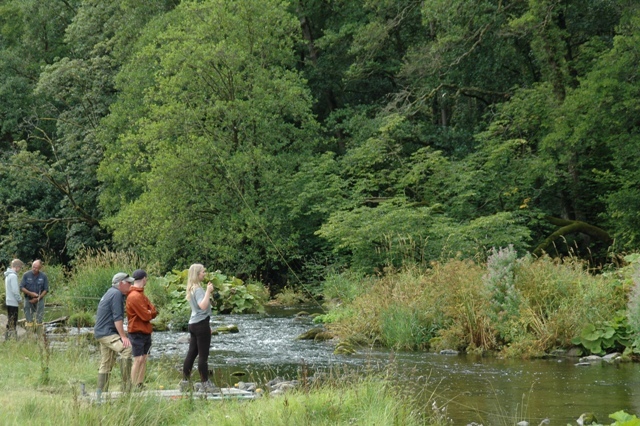 The fly casting tuition platforms were well utilised with both adult and juniors getting some handy tips from the experts. Fisherman’s Row was well attended by Penrith Angling Association, REDFA, Angling Trust, Prince Albert were there in force, The Wild Trout Trust, Kirkby Stephen Angling Association, Tanas Tackle, River Nith Trust, Borderlines, Fly Tek, Bessy Beck Trout fishery, Orvis, The Fly Tying Company, The Fly Dressers Guild, Pendle Fly Dressers, Lakeland Fly dressers, Peter Bramwell, Aimee Kitching, the Salmon and Trout Association and Tim’s Tackle. We have been using John Norris outfits (the same ones) for over six years now for the competitions and clinics, they are still in great shape after being totally abused, a fine testament! 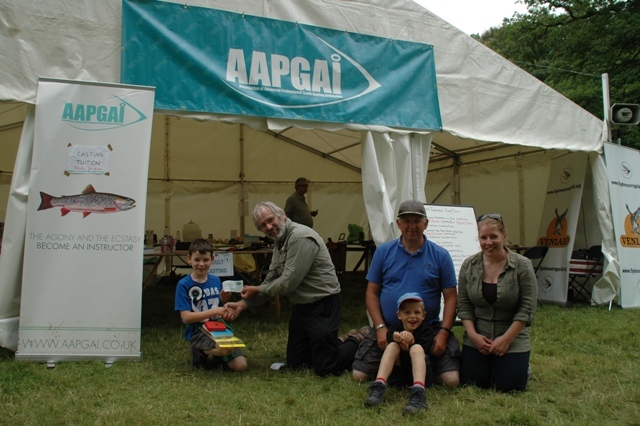 Once again the Fishing Island was generously sponsored by John Norris of Penrith with some fantastic prizes won, it is good to see and it has to be applauded, the foresight of investing in the future of fly fishing. A very big thank you to Countryman Fairs for making the show so well organised and enjoyable. 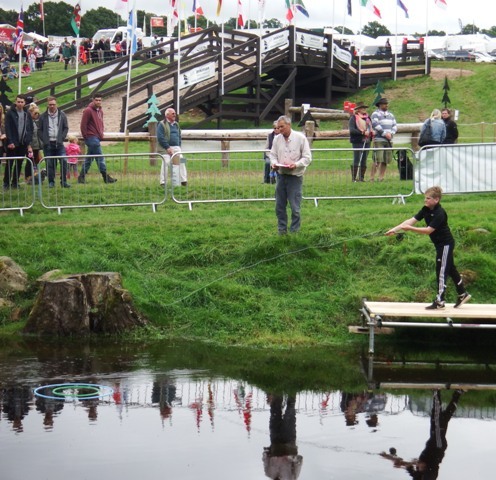 This entry was posted in Borderlines, education, environment, fishing, fly fishing, Nith trust, River Nith, Schools, Scotland, youth and tagged anglingforall, Borderlines, education, environment, family, Fly fishing, outdoors, youth on 20th August 2018 by Glyn Freeman.